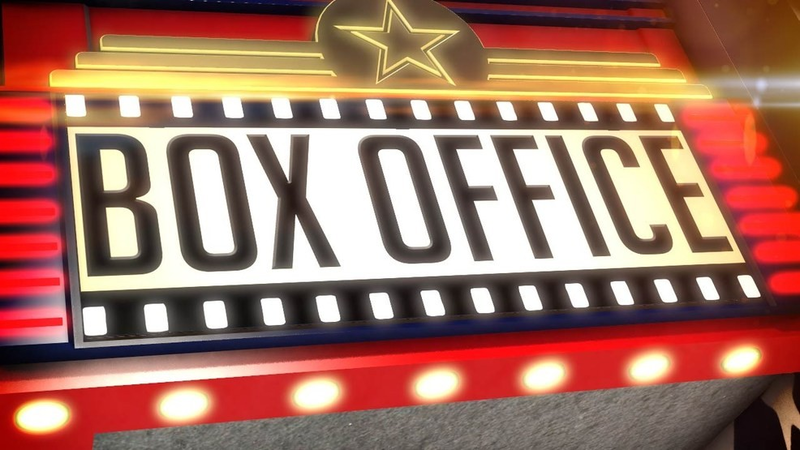 The post-Thanksgiving box office performed about as well as many had expected, with the weekend’s only new addition to the Top Twelve being a horror movie that ended up in the middle of the list. Leading the quiet box office frame is Ralph Breaks the Internet with nearly $26M, a figure that’s just a little bit lower than how Moana did two years ago and how Coco performed last year. Animated movies are in vogue right now as The Grinch slipped past Creed II for the #2 spot as the Holiday season ought to be kind to Illumination’s hit. But that’s not to say that Creed II didn’t pack a punch either, as the sequel is still performing ahead of its predecessor and ought to top its lifetime domestic performance in two weeks or so. The same can’t be said for the other big WB sequel, as the biggest box office drop of the weekend belongs to Fantastic Beasts: The Crimes of Grindelwald at nearly 62%, which has clearly been affected by its poorer overall reception compared to the first Fantastic Beasts film. The only other region where the movie is underperforming is in China, which the overperformance of Venom in that region may partially be to blame for. Otherwise, the sequel should be able to top $600M globally, which would be more than enough to make the movie successful – but Rowling and company should see the movie’s weaker performance as a wake-up call to adjust the third, fourth, and fifth planned films in the series accordingly. But at the very least, the Newt Scamander (with a dash of Albus Dumbledore) adventure is having a better weekend than Robin Hood, which is predictably one of the year’s biggest flops. Bohemian Rhapsody is heeding Freddy Mercury’s advice to “keep yourself alive”, as the Queen biopic has cleared $500M internationally and is still going strong domestically. At this point, I think it’s safe to say that the musical genre is back after a dormant period just a few years ago when studios had to hide songs from the trailers. Meanwhile, Instant Family and Widows had decent holds that should help both movies reach a break-even point, and if they survive the holidays, they might make a decent profit along the way. Green Book going wide has been somewhat successful, but it will need continued support from the awards circuit to go from being a critically-praised film to a surprise hit. Ralph Breaks the Internet (Disney/Walt Disney Animation Studios) – $25.756M Weekend/$119.294M Total; 54.2% Drop. The Grinch (Universal Pictures/Illumination Entertainment) – $17.73M Weekend/$203.507M Total; 41.7% Drop. Creed II (Warner Bros./New Line) – $16.832M Weekend/$81.169M Total; 52.7% Drop. Fantastic Beasts: The Crimes of Grindelwald (Warner Bros.) – $11.2M Weekend/$134.341M Total; 61.9% Drop. Bohemian Rhapsody (20th Century Fox) – $8.1M Weekend/$164.423M Total; 42.1% Drop. Instant Family (Paramount Pictures) – $7.15M Weekend/$45.927M Total; 41.9% Drop. The Possession of Hannah Grace (Sony Pictures/Screen Gems) – $6.5M Total. Robin Hood (Lionsgate) – $4.7M Weekend/$21.727M Total; 48.9% Drop. Widows (20th Century Fox) – $4.4M Weekend/$33.06M Total; 46.5% Drop. Green Book (Universal Pictures) – $3.9M Weekend/$14.016M Total; 29.1% Drop. A Star is Born (Warner Bros.) – $1.905M Weekend/$193.822M Total; 36.8% Drop. The Nutcracker and the Four Realms (Disney) – $1.299M Weekend/$51.058M Total; 53.4% Drop. A Star is Born, Bohemian Rhapsody, The Grinch, Fantastic Beasts: The Crimes of Grindelwald, Creed II, and Ralph Breaks the Internet are now playing in theaters.